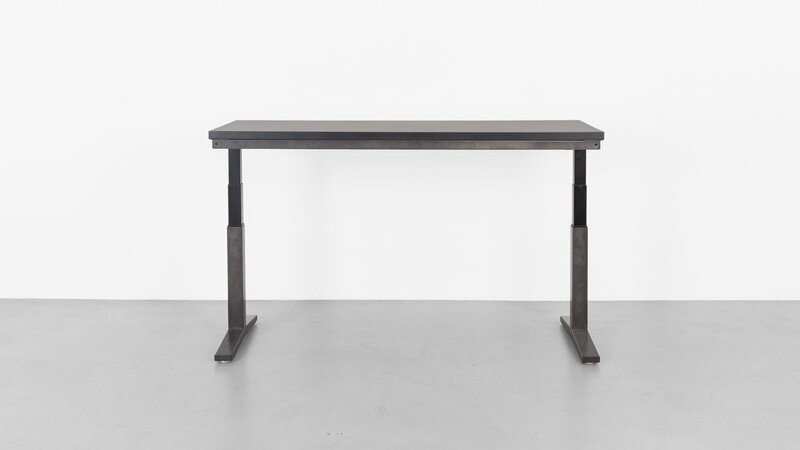 How do you design a SIT|STAND workstation with a timeless appeal? Start with carefully considered proportions and the honest materials that define UHURU’s collections. 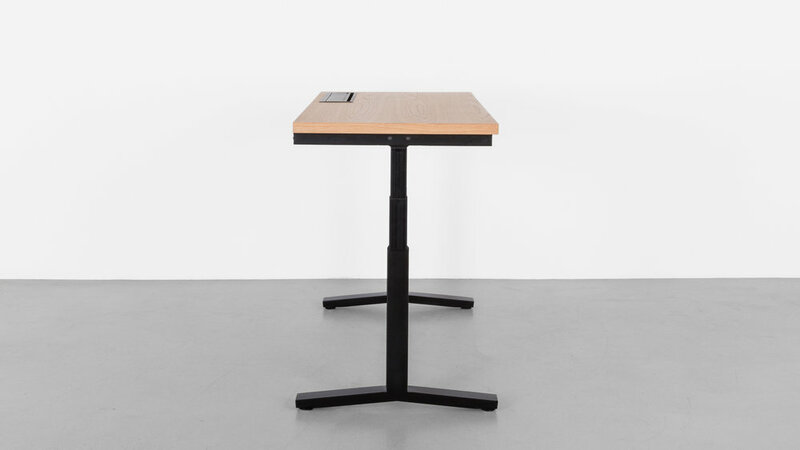 MINIM RISE incorporates an industry leading electronic lift system into the sturdy steel base, seamlessly concealed beneath a variety of work surface options. 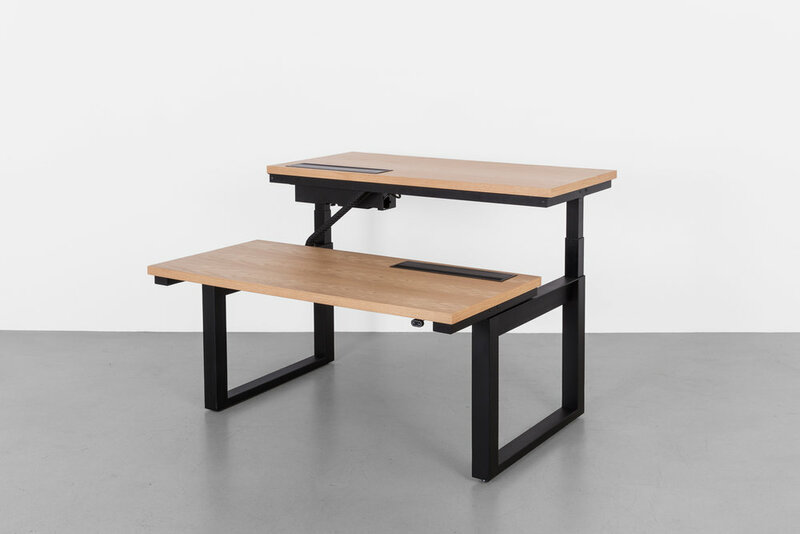 MINIM RISE’s lasting design aesthetic and unique ability to integrate both fixed height and SIT|STAND workstations into one system is what distinguishes it from the rest. No longer will you have to sacrifice quality and style for functionality. 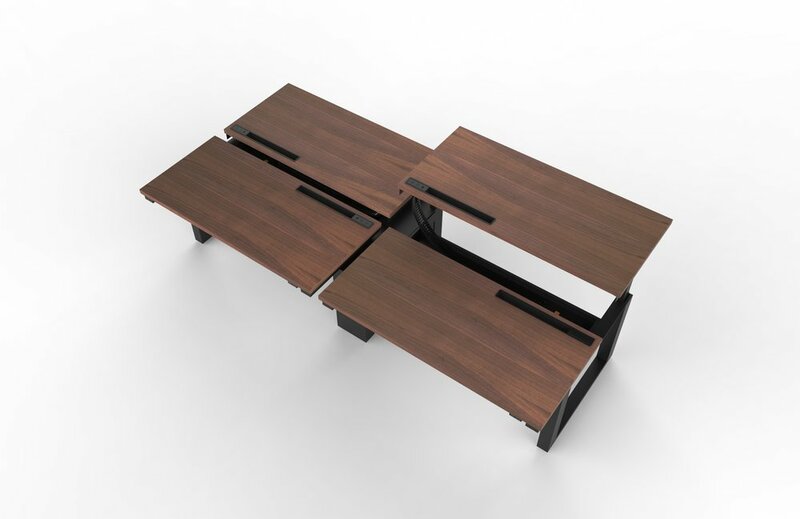 MINIM RISE is available in a variety of desk and benching options with wire management available for each. 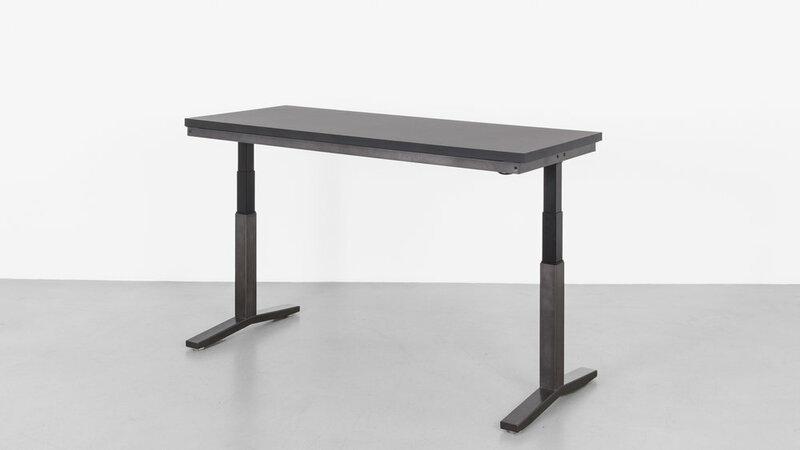 Our electronic lift system moves from 27"H - 47"H to allow for user flexibility in both sitting and standing positions. 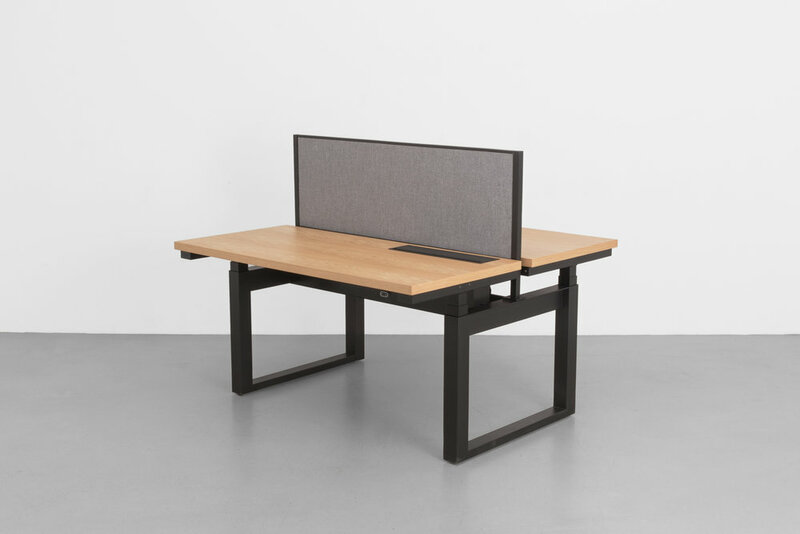 MINIM RISE desk and benching are available in 47.25", 59" and 71" widths and allow for a configuration of up to 12 desks per cluster. 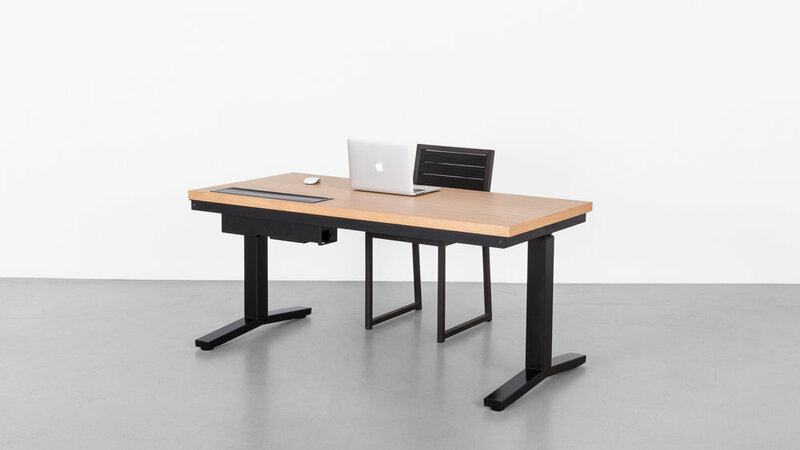 Our MINIM RISE SIT|STAND system is designed with flexible power in mind with power and data options for both the desktop and the lower trough. 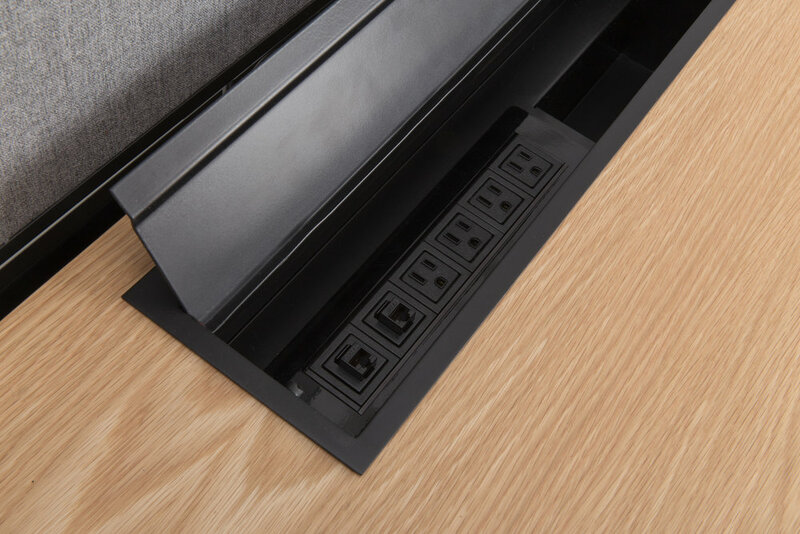 Our electrical and data platform allows for power plugs, usb, HDMI and data slots in the desk top, as well as an integrated power and data tray on the lower trough. 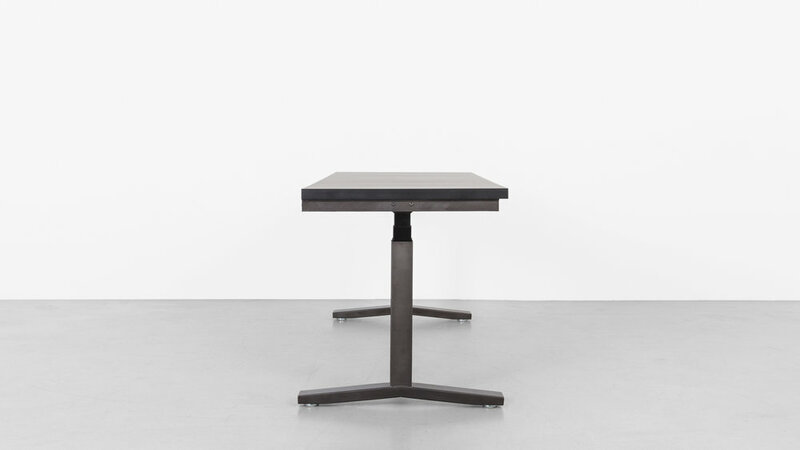 Power and data mounted on the desk’s surface and are hidden by a flip top for a minimalist look. THANK YOU FOR CONTACTING UHURU ABOUT OUR WORKPLACE COLLECTIONS! OUR SALES TEAM WILL BE IN TOUCH WITH YOU SHORTLY ABOUT YOUR INQUIRY.